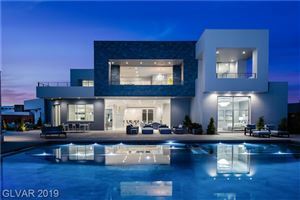 The Ridges are tucked into the southwest elevations of Summerlin master-planned community, with multimillion-dollar custom estates showcasing picturesque views of the Spring Mountains and Las Vegas city lights. 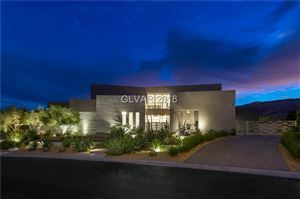 It’s home to Bear’s Best Las Vegas, designed by the “Golden Bear,” legendary golfer Jack Nicklaus. The 7,194-yard, par-72 course incorporates the best 18 holes from other Nicklaus-designed courses and is open to public play. Corporate executives, celebrities and high net-worth individuals who prefer the exclusivity of an ultraluxurious, guard-gated community make their home at The Ridges. Privileges at the private Club Ridges include a state-of-the-art fitness center, resort-style swimming pool, and tennis courts. The 10,000-square-foot clubhouse can be reserved for weddings, receptions, business meetings, banquets, and private parties. Red Rock Resort casino and spa, a short drive from The Ridges on the 215 Beltway, offers formal and casual dining options, top-notch entertainment and an award-winning buffet. At a construction cost of more than $900 million, Red Rock Resort ranks among the more upscale off-Strip casinos in Las Vegas. Coming in 2014 is the 106-acre, 1.6 million-square-foot Shops at Summerlin, a mixed-use development anchored by Macy’s flagship department store in Las Vegas. The urban lifestyle center will also feature 125 retail shops and restaurants, a six-story office building, hotel and residential components. Nearby Red Rock National Conservation Area offers some of the best hiking scenery in all of Southern Nevada. It features a visitor center with information about geography and wildlife and a 13-mile scenic loop with pullouts for photo opportunities.